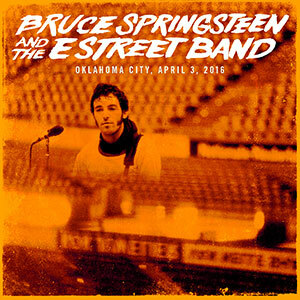 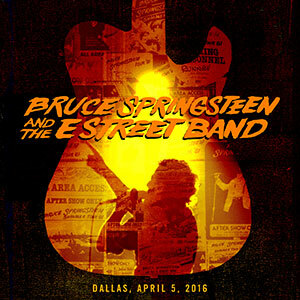 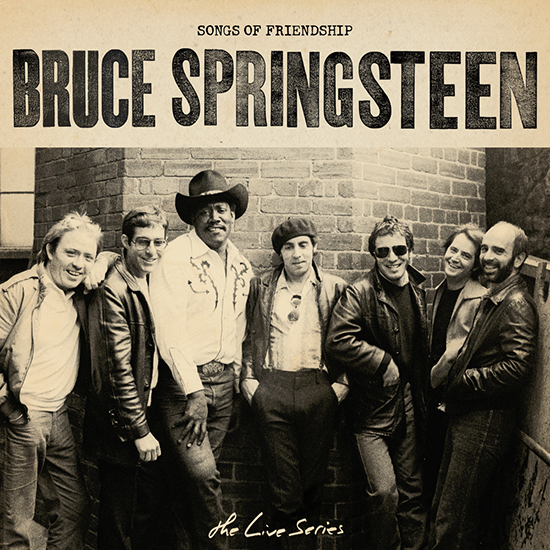 "Bruce Springsteen - The Live Series: Songs of Friendship and More." 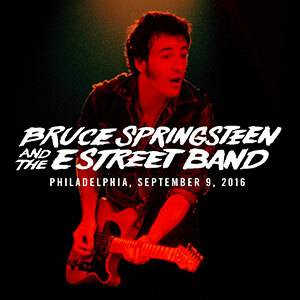 The 89 tracks included on this playlist are streaming for the first time. 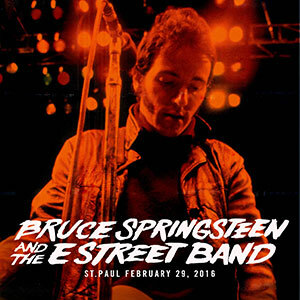 was signed by Bruce and raised $4,650 in an online 2018 auction for the Kristen Ann Carr Fund. 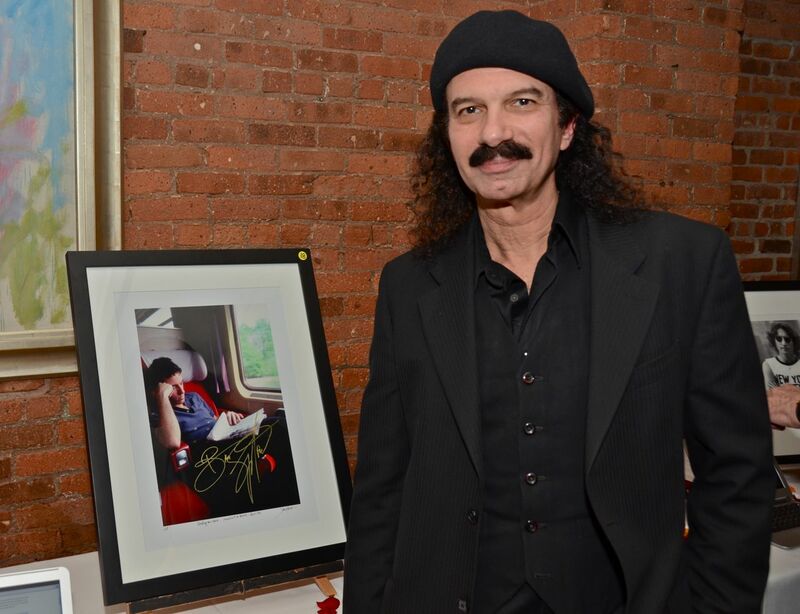 for auction at the annual Kristen Ann Carr Fund event in NYC. 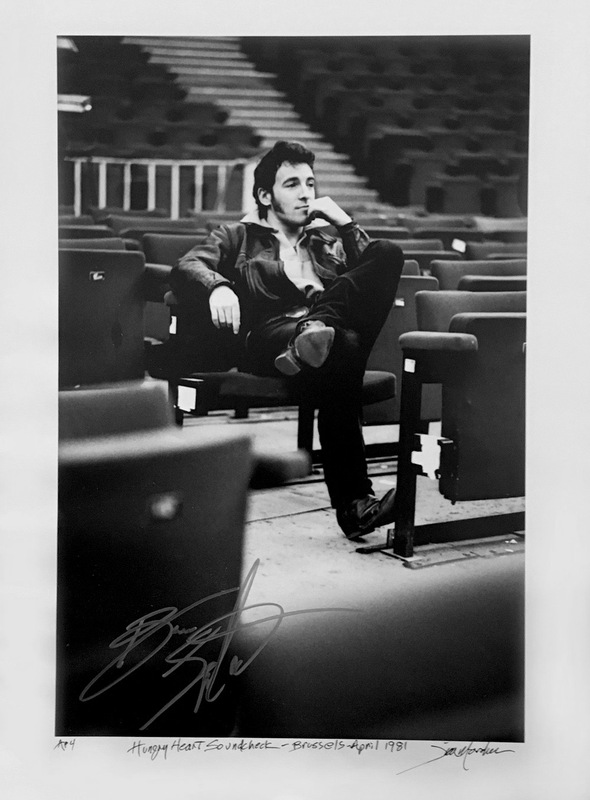 Signed by Bruce, the print raised $1,850 for the Fund. 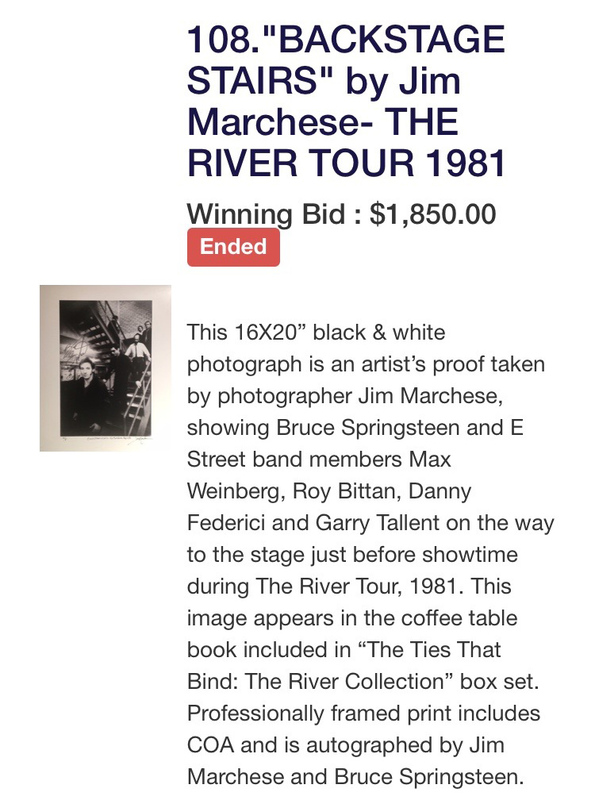 the Brussels show during The River Tour 1981 when Jim was tour photographer, for auction at the annual Kristen Ann Carr Fund event in NYC. 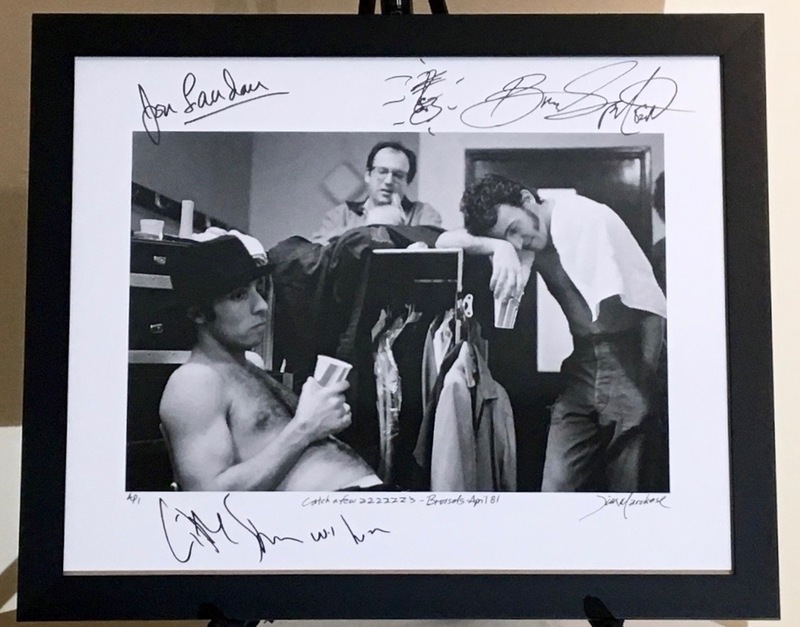 Signed by Bruce, Steven & Jon, the print raised $4,200 for the Fund. 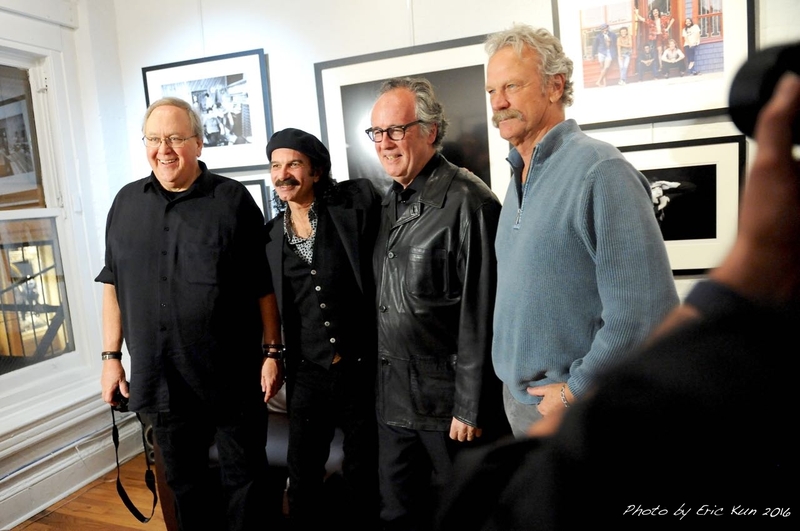 Jim with Bruce Springsteen's manager Jon Landau and the auctioned photograph at KACF event, Tribeca Grill in New York City, 5/6/17. 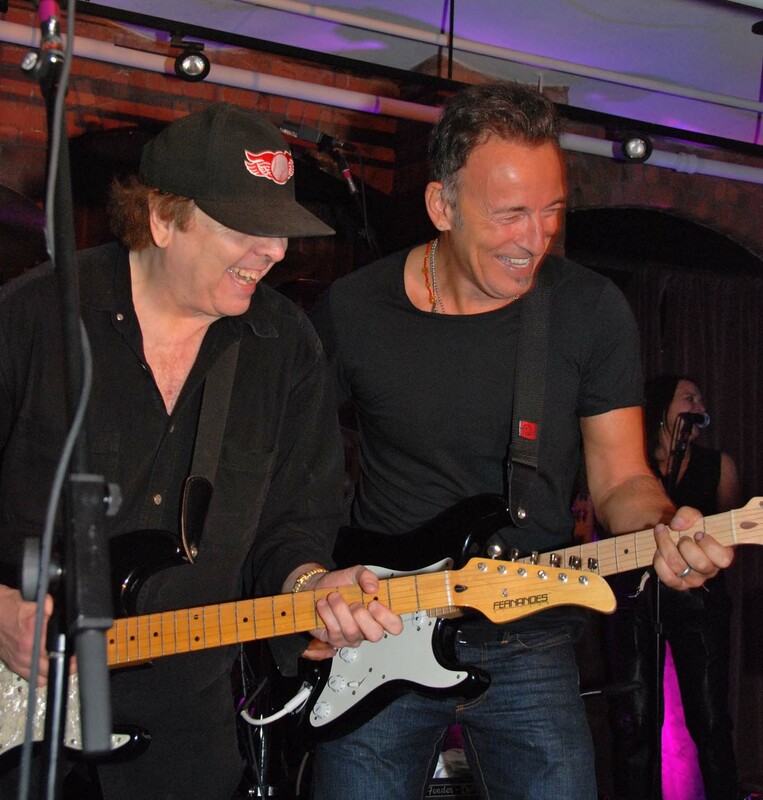 Jim's auctioned print for KACF featuring Bruce Springsteen, manager Jon Landau and "Little Steven" Van Zandt. 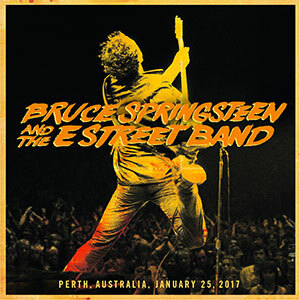 downloads of live performances on Bruce's site. 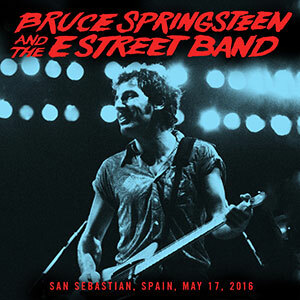 Oklahoma City, Dallas,San Sebastian, London, Berlin, Gothenburg, Milan, Rome, Zurich, Chicago, Philadelphia, Foxboro, Perth. 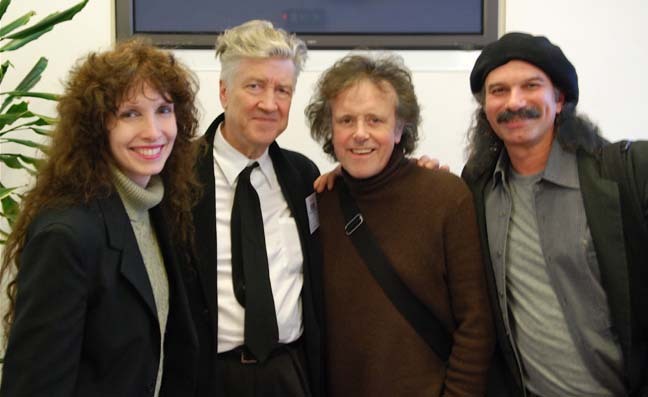 Frank Stefanko, Lynn Goldsmith, Neal Preston, Joel Bernstein, Patrick Harbron and the late David Gahr. 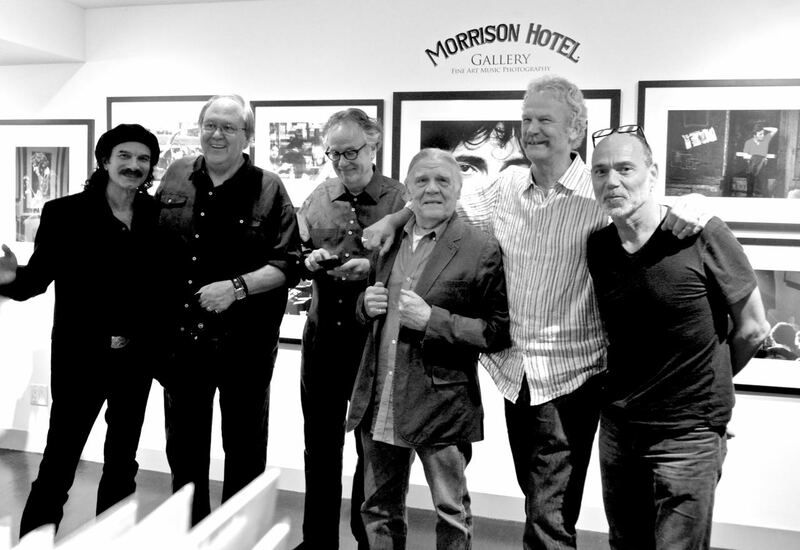 at Morrison Hotel Gallery's West Hollywood location, celebrating Bruce's recent " The Ties That Bind: The River Collection" box set. 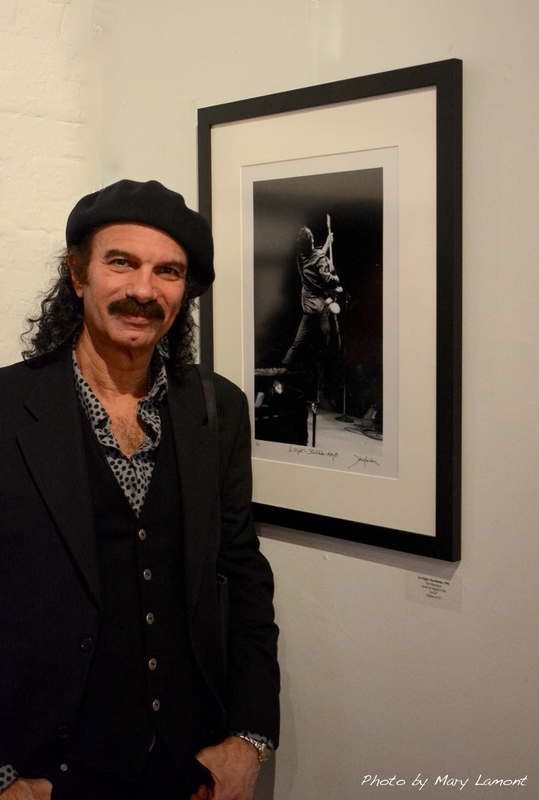 Press about the show included prestigious publications including the LA Times. 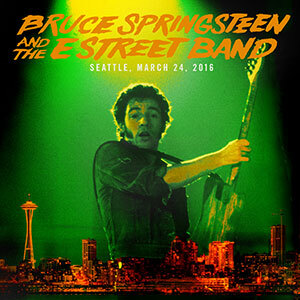 The show ran from March 10 to March 20, 2016. 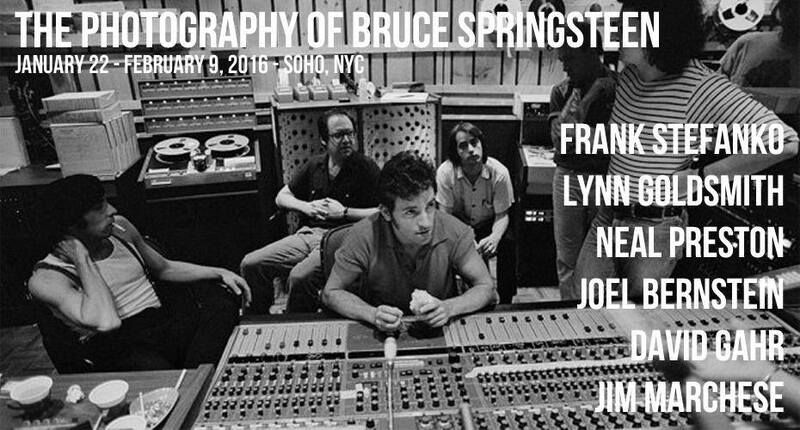 Frank Stefanko, Jim Marchese, Joel Bernstein, Lynn Goldsmith, Neal Preston and Patrick Harbron. 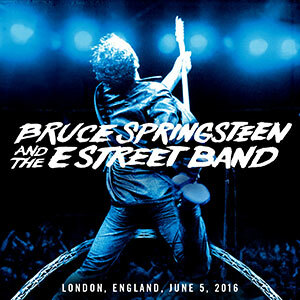 in SoHo to rave reviews, with praise in the media from the New York Times, the Wall Street Journal and others. 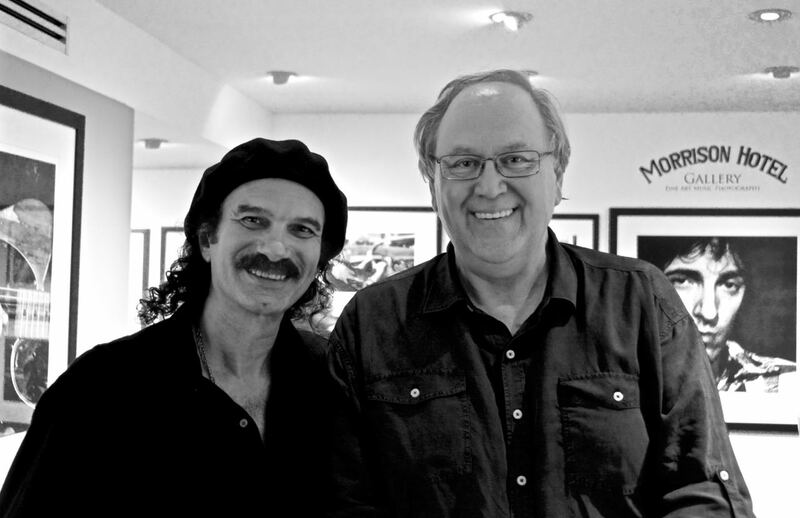 the Morrison Hotel Galleries in New York and Los Angeles are proud to represent these talented artists,"
says gallery co-founder and owner, Peter Blachley of the exhibit. 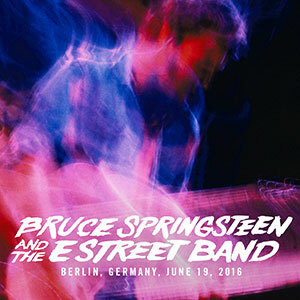 of art and design. 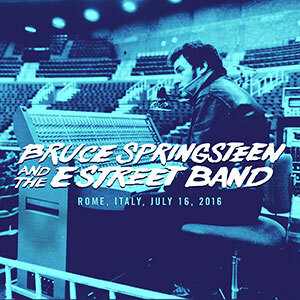 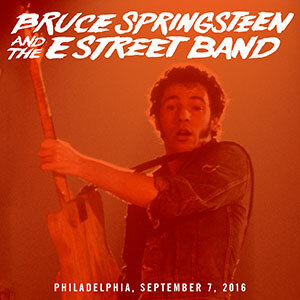 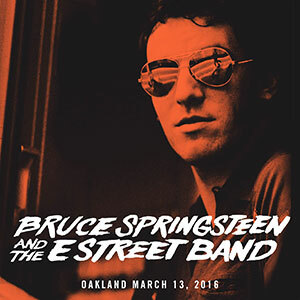 Marchese's work appears on the Bruce Springsteen & the E Street Band release Live/1975-85. 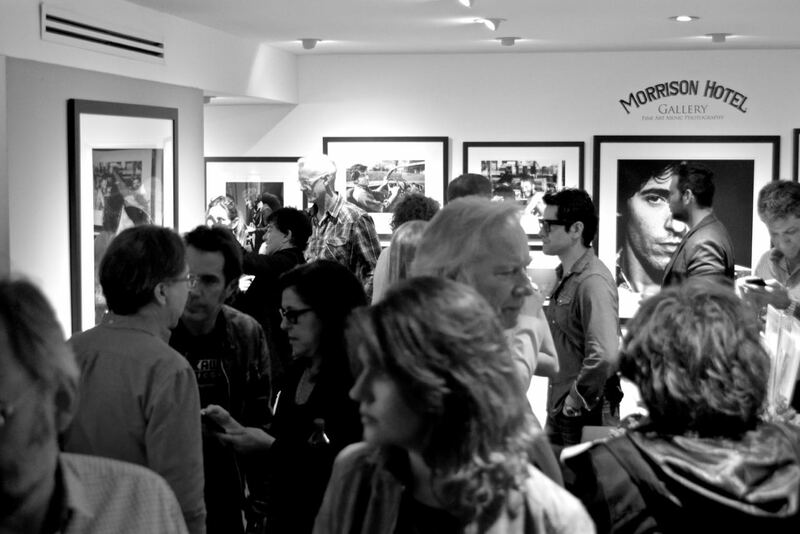 at the Morrison Hotel Gallery's NYC location, celebrating Bruce's recent " The Ties That Bind: The River Collection" box set. 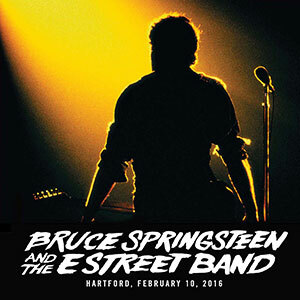 NY1, New York Times, Wall Street Journal, Village Voice, Examiner, The Daily Beast and American Photo Magazine. 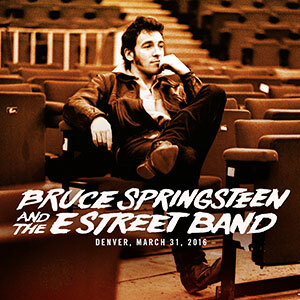 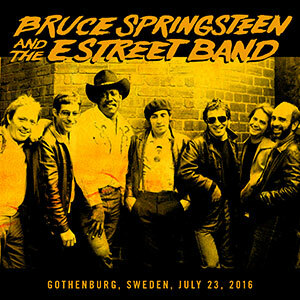 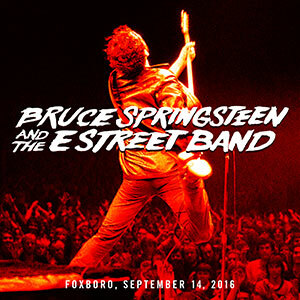 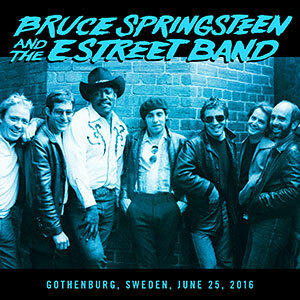 The show ran from January 22 to February 9, 2016.
as tour photographer in Europe for Bruce Springsteen during The River Tour in 1981 and about the Morrison Hotel Gallery show. 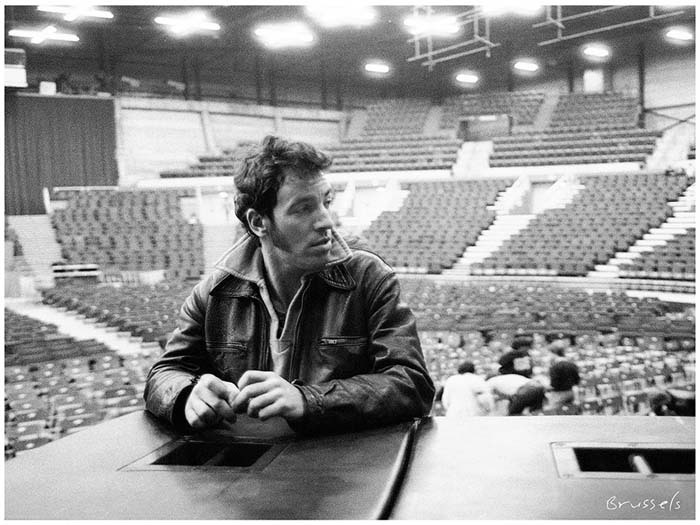 One of Jim Marchese's Bruce Springsteen photographs is offered for sale on Bruce's website as a limited edition lithograph entitled "Brussels"
and shot in Belgium during a soundcheck . 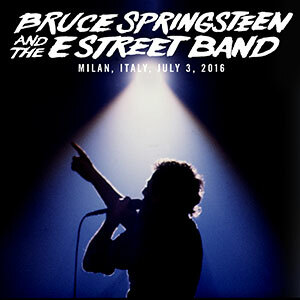 Click here to view and purchase the lithograph. 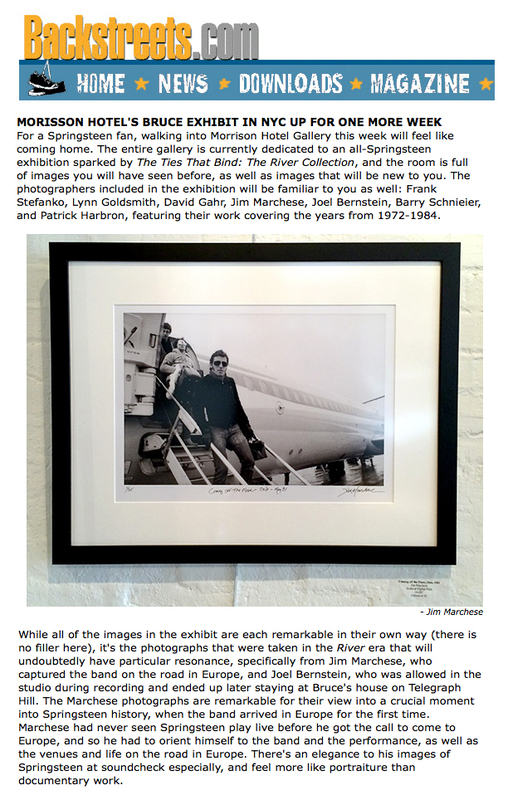 JIM MARCHESE IMAGES FEATURED ON "THE TONIGHT SHOW STARRING JIMMY FALLON"
the book included in "The Ties That Bind: The River Collection" box set. 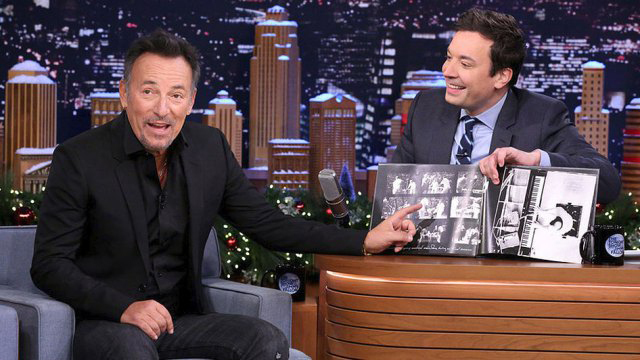 Jim's photographs were the only ones Jimmy Fallon selected to discuss with Bruce. 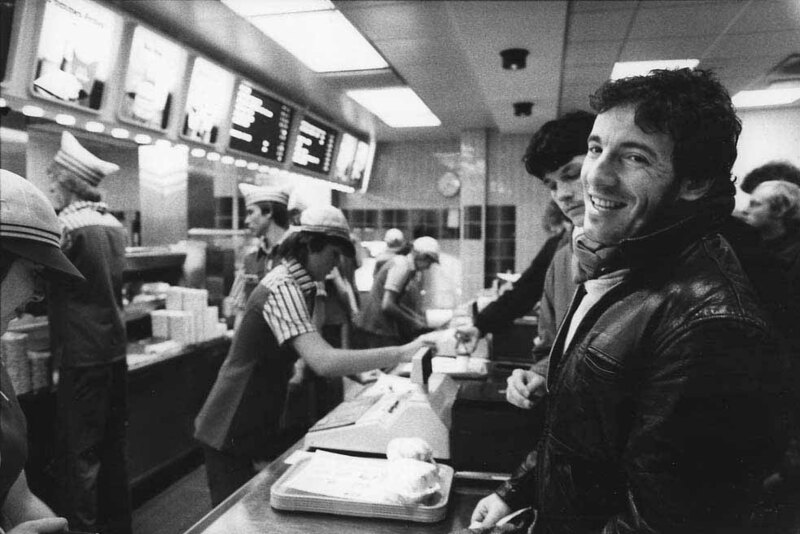 Jim Marchese has many of his Bruce Springsteen photographs featured in "The Ties That Bind: The River Collection" box set. 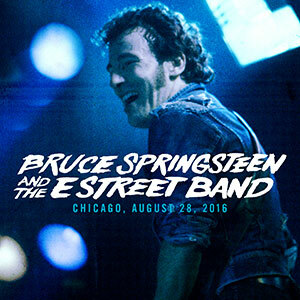 The set includes 4 CDs, never-before-seen video on Blu-rays/DVDs - including director Thom Zimny's new documentary "The Ties That Bind" (which includes several of Jim's photographs) that has also aired on HBO. 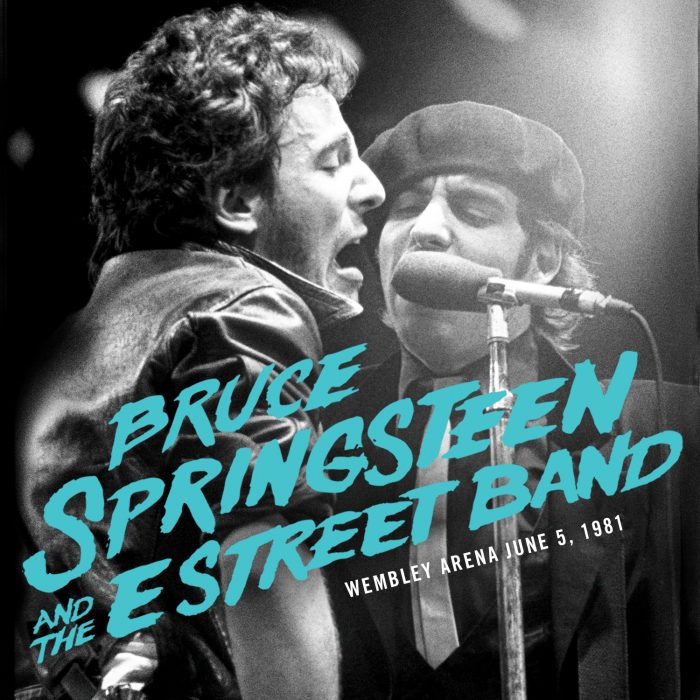 The box set comes with a 148-page coffee table book featuring 200 rare or previously unseen photos, both studio and live, from photographers including Joel Bernstein, David Gahr, Jim Marchese and Frank Stefanko. 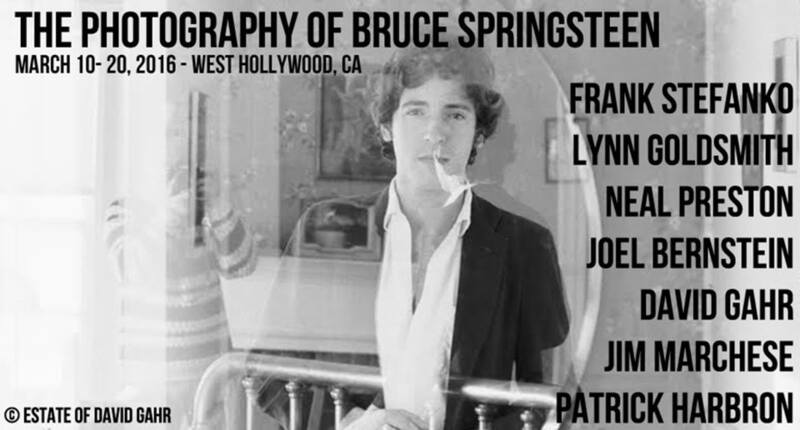 Jim has over 50 images in this book, including over 20 double-page spreads. 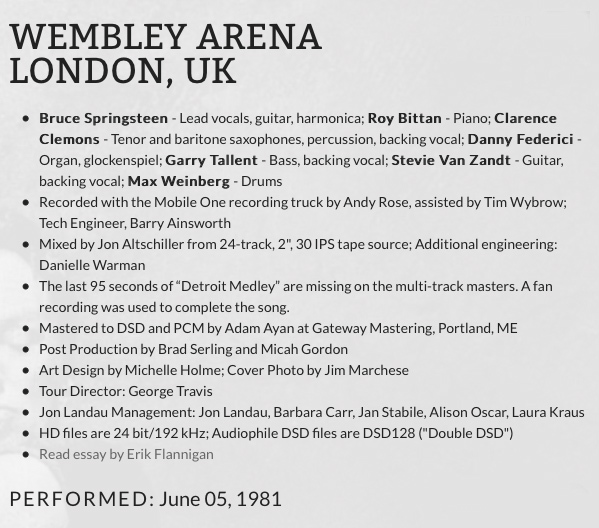 The last spread in the book is Jim's, and is also featured on Bruce's site for sale as a limited edition lithograph. 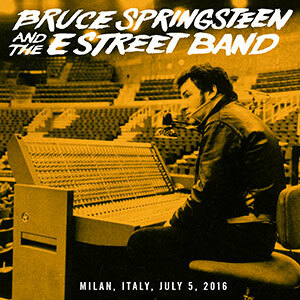 Jim was tour photographer for Bruce during the European leg of The River Tour. 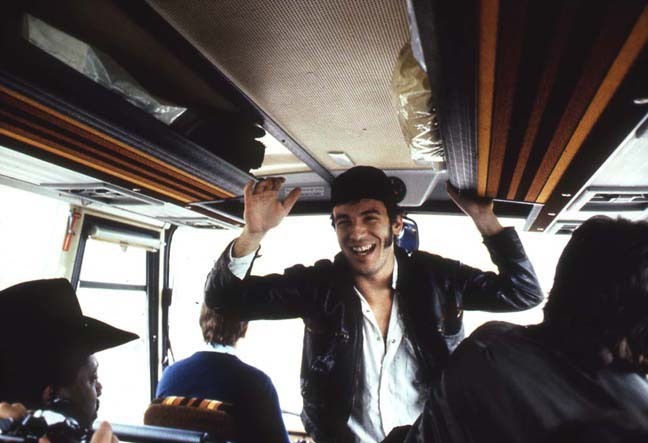 on the tour bus in Zurich when Jim was tour photographer, for auction at the annual Kristen Ann Carr Fund event in NYC. 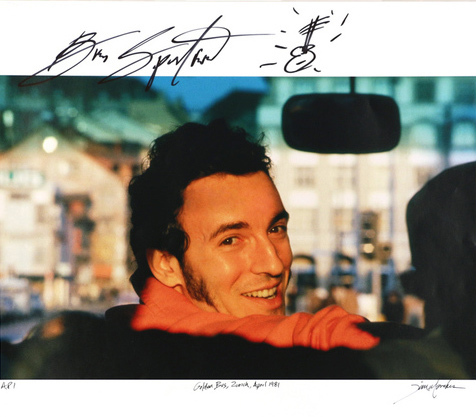 Signed by Bruce, the print raised $2,500 for the Fund. 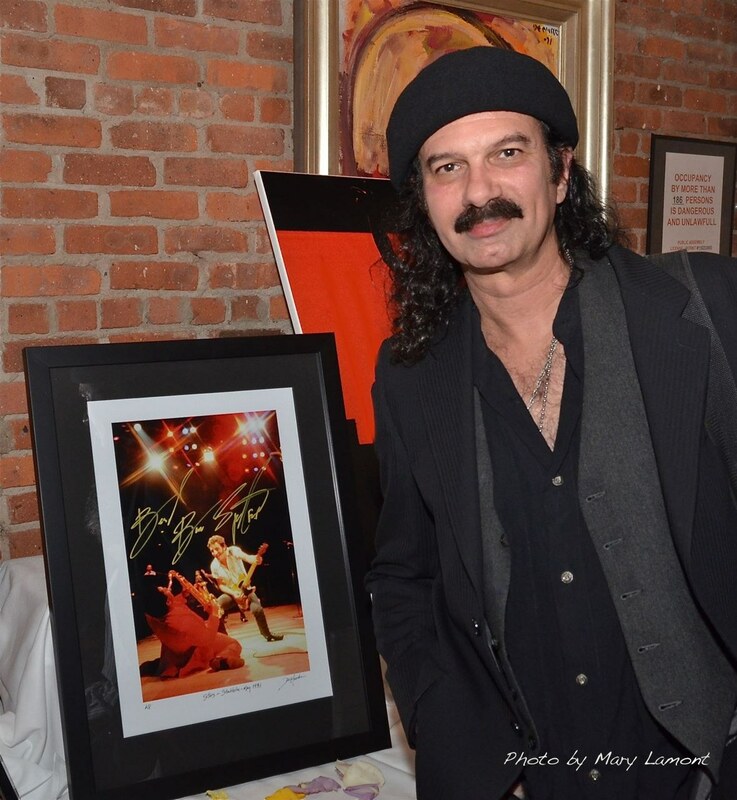 for auction at the annual Kristen Ann Carr Fund event in NYC. 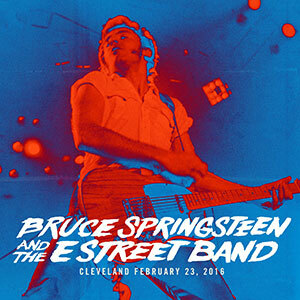 Signed by Bruce, the print raised $3,300 for the Fund. 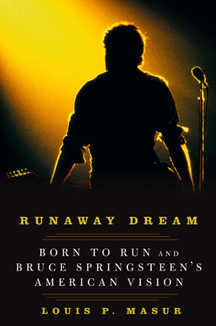 are featured in the Rolling Stone Collectors Editon BRUCE: His 100 Greatest Songs, on sale on newstands and book stores. 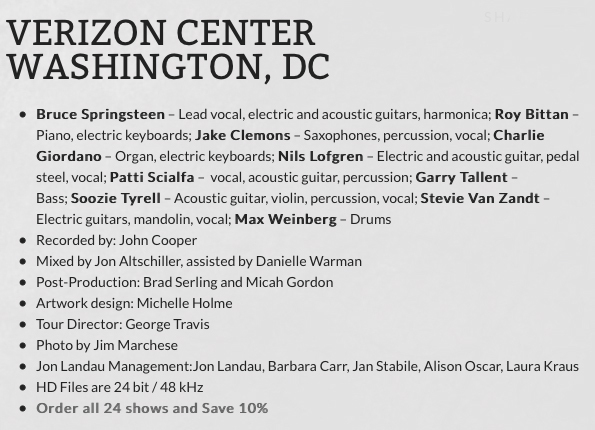 Dave Marsh, Chet Flippo, Neil Strauss, Bob Costas, Mark Hagen, Elvis Costello, Nick Hornby, Robert Santelli and more. 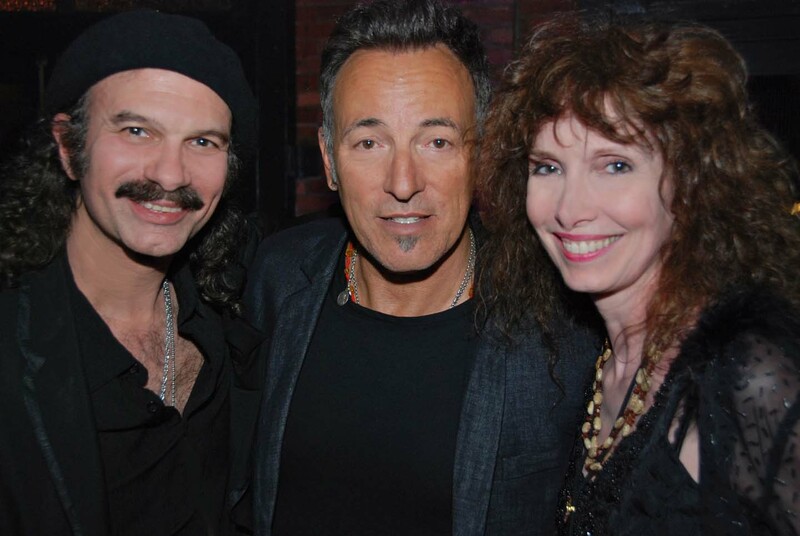 Pam Springsteen, Danny Clinch and Frank Stefanko. 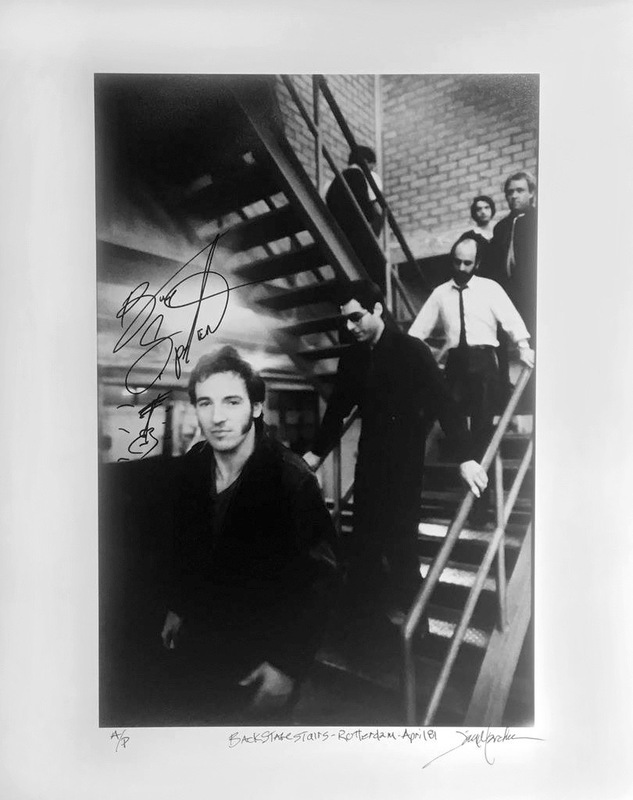 for auction on charitybuzz.com. 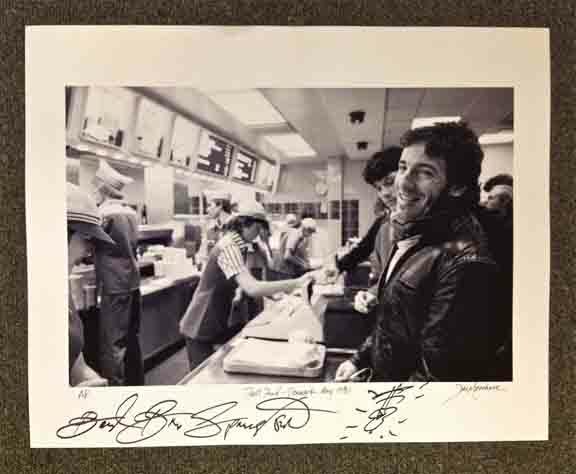 Signed by Bruce, the print raised $2,600 for the Kristen Ann Carr Fund. 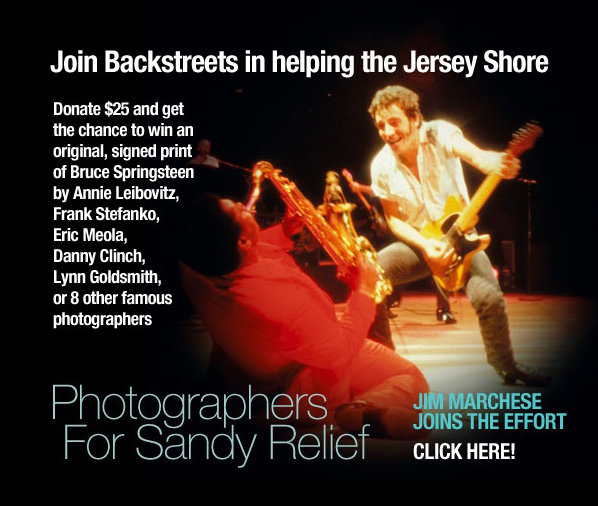 JIM MARCHESE PART OF "PHOTOGRAPHERS FOR SANDY RELIEF"
Hurricane Sandy. 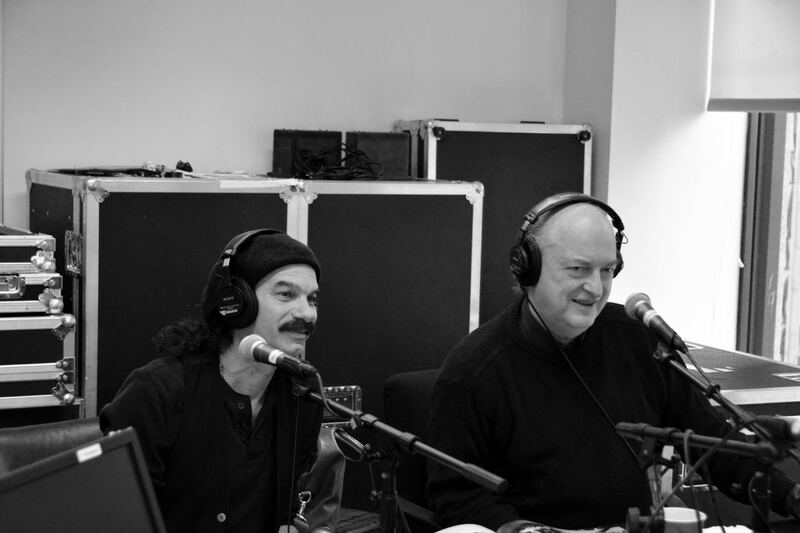 The effort raised $118,250. 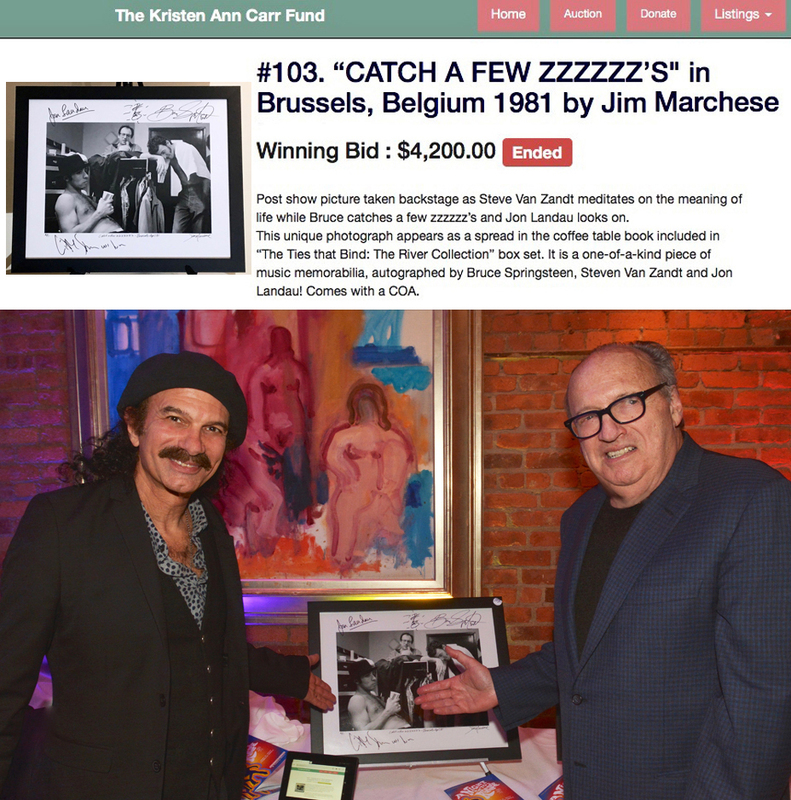 for a silent auction at the Kristen Ann Carr Fund's annual "Night to Remember"
at Tribeca Grill in New York. 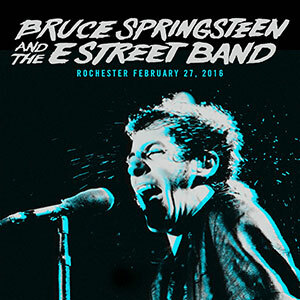 Signed by Bruce, the print raised $5,250 for the fund. 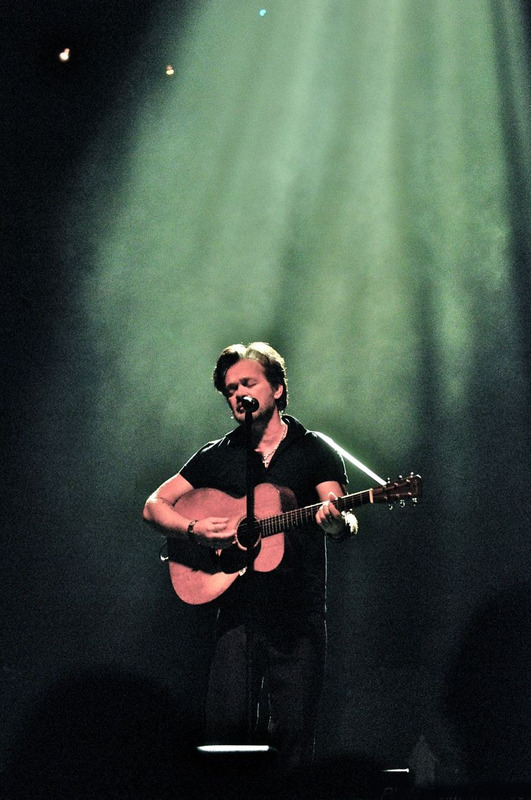 Jim Marchese captured John under the lights at Radio City Music Hall in New York City during the No Better Than This Tour. 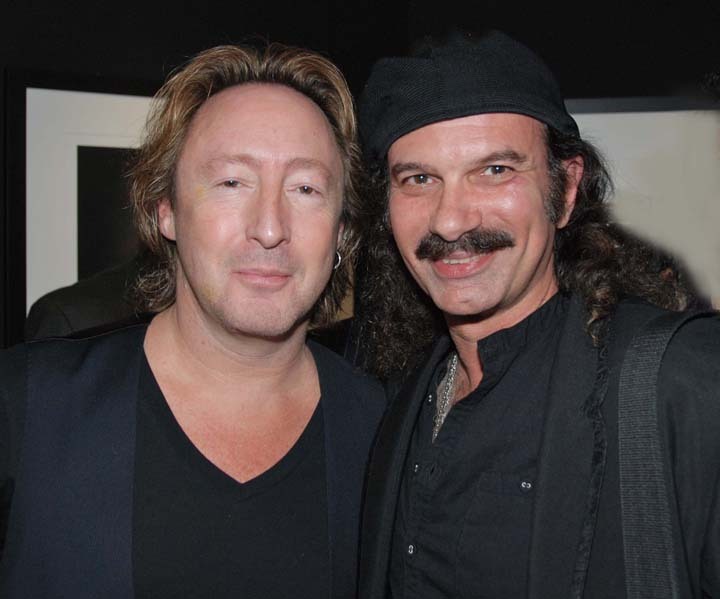 Jim Marchese met up with Julian Lennon at the opening of Julian's beautiful "Timeless" photo exhibit at Morrison Hotel Gallery in NYC, his first gallery show here. 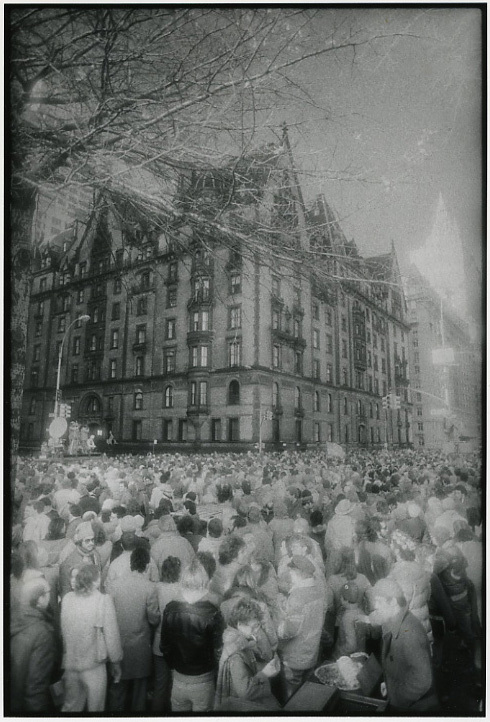 Julian bought a signed limited edition print of Jim's "Dakota Mourning", taken just after John Lennon's passing, for his personal collection. 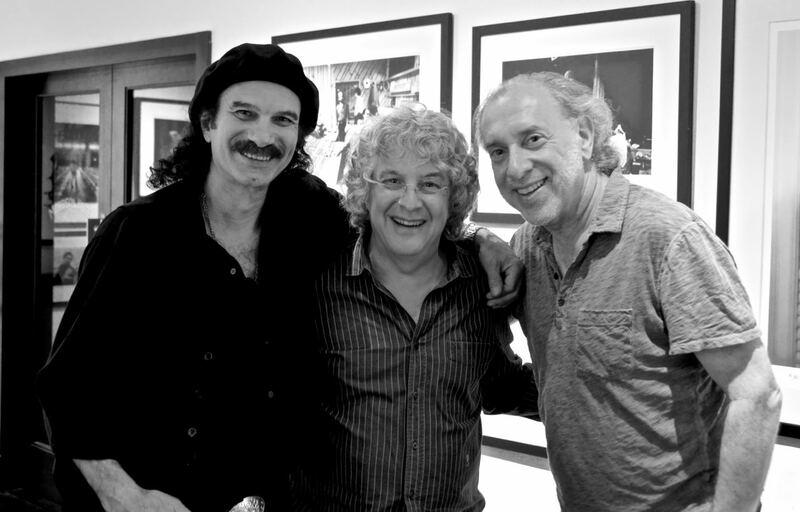 Julian thanked Jim, and remarked, "That was an amazing photograph!" 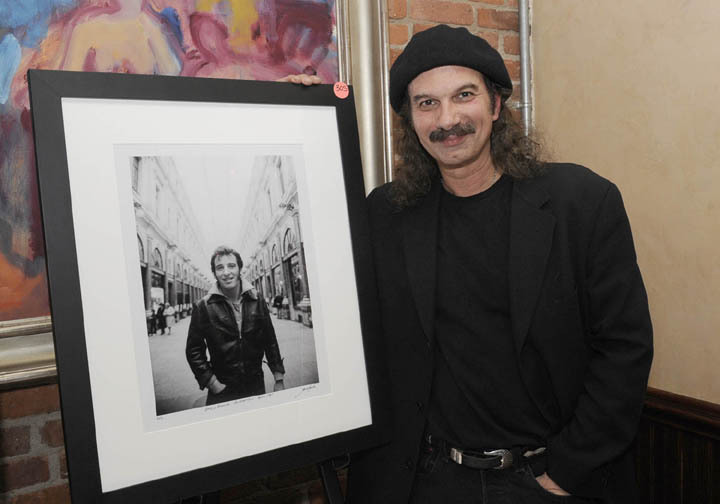 Jim Marchese donated a Bruce Springsteen photograph (taken in Brussels while Jim was on tour with Bruce) for a silent auction at "A Night To Remember" annual event for the Kristen Ann Carr Fund held in New York City. 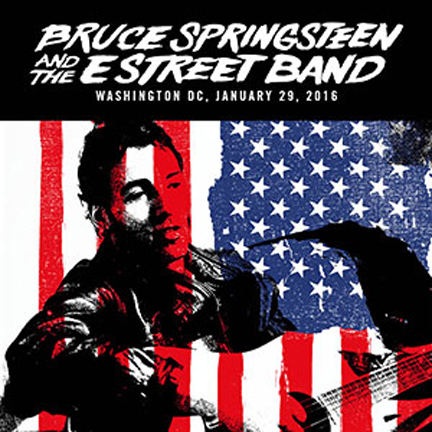 E Street Band for auction (raising $1000 for sarcoma research/treatment). 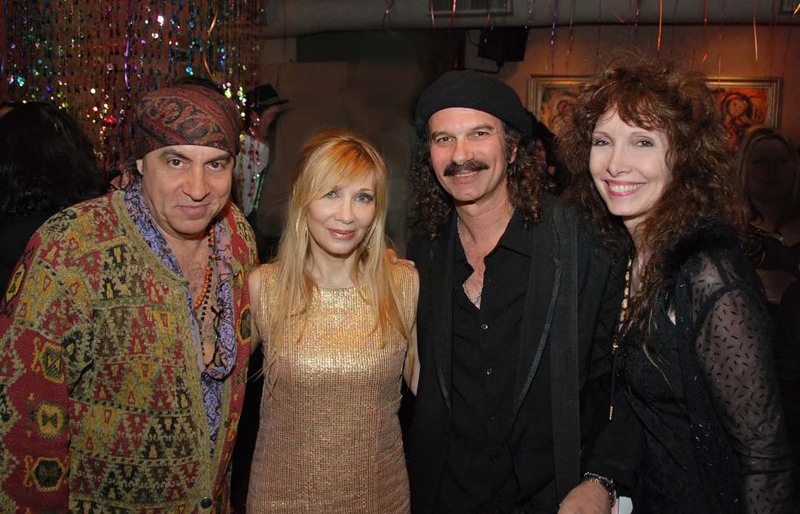 Little Stevie Van Zandt and wife Mauren were honored as major contributors to the cause. 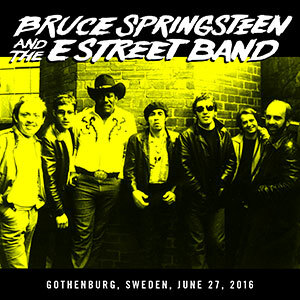 Bruce and Steven sitting in on "Good Lovin". 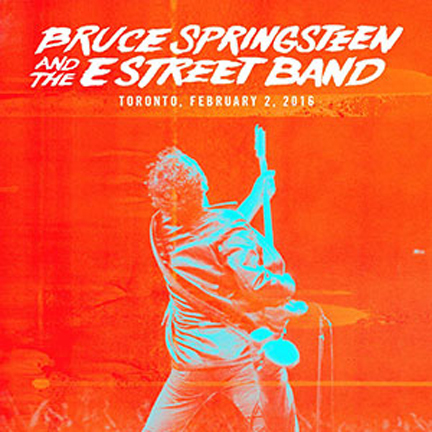 Beard Guitars created a Jerry Douglas model for their prestigious Signature Series of guitars, and the ad features a Jerry Douglas portrait by Jim Marchese, shot in New York City. 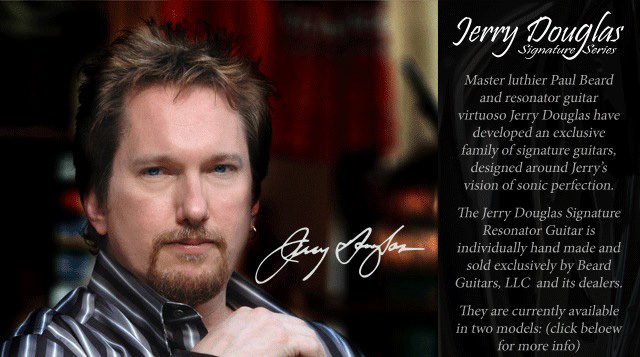 For more info about Beard Guitar's Jerry Douglas Signature Series, click here. 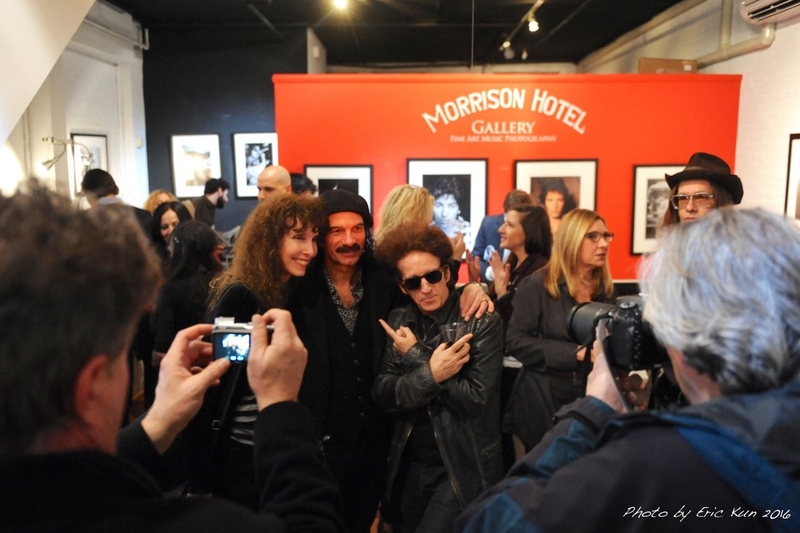 JOHN LENNON PHOTO EXHIBITION FEATURED JIM MARCHESE IMAGE "DAKOTA MOURNING"
This show with the "Dakota Mourning" image traveled to the Ballarat Fine Art Gallery in Australia. 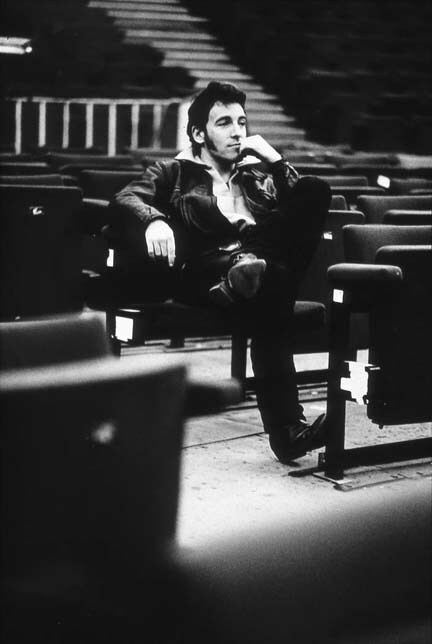 Jim Marchese has half of photographs in a London group photo exhibition featuring images of Bruce Springsteen. 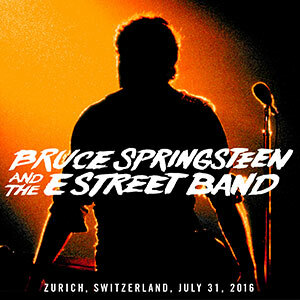 Marchese was tour photographer for Bruce in Germany, Switzerland, France, Spain, Belgium, Netherlands, Denmark, Sweden, Norway and Britain during Springsteen’s River tour. 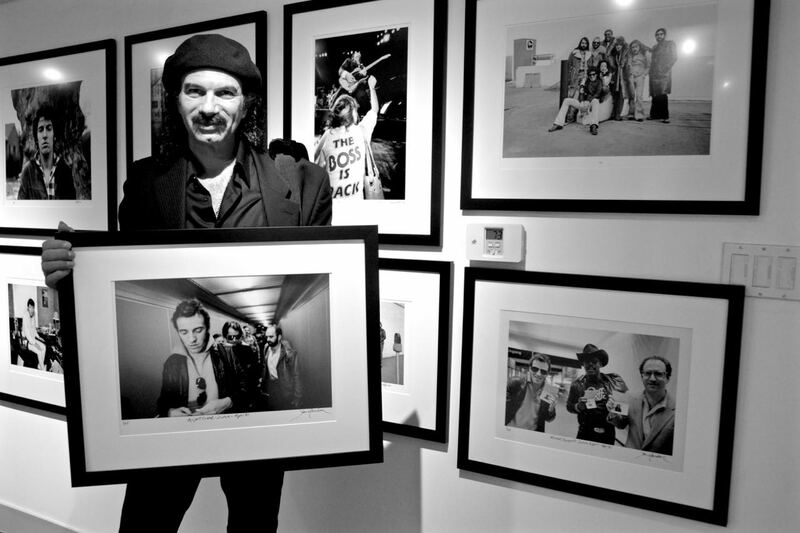 The photographs, which have never appeared in a gallery, will be displayed at Proud Galleries in London from October 26 – December 2, 2007. 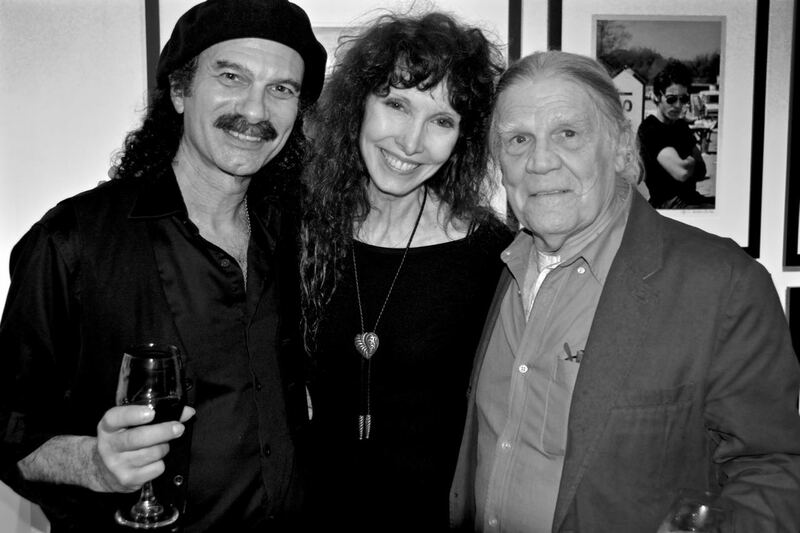 Funds were raised at this exhibition for the Kristen Ann Carr Fund.